After paying a visit to Japan a couple weeks ago, today we pack our bags to sunny Africa. 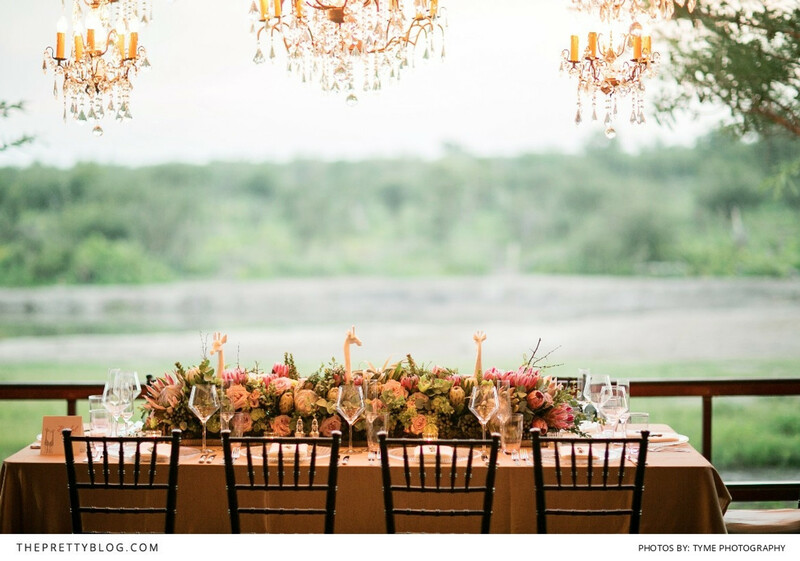 Inspired by the exotic beauty of its famous savanna, we provide you with these easy ways to transform your wedding to a safari adventure. Prep up your invites with animal print patterns and a vintage stamp before sending it out to your guests, hinting what theme your wedding is carrying. Since it’s a safari themed wedding, put on dresses that allow you to move freely. Although we are not recommending you to wear a princess-y ball gown dress, we also advise you to avoid an all-animal-prints outfits as it might look tacky and costume-y. 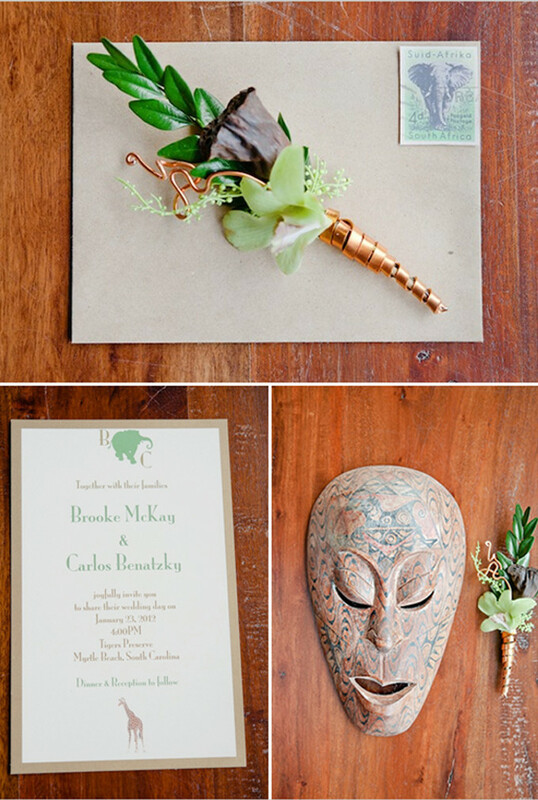 Since it’s an African safari themed wedding, why stick with the traditional flowers? 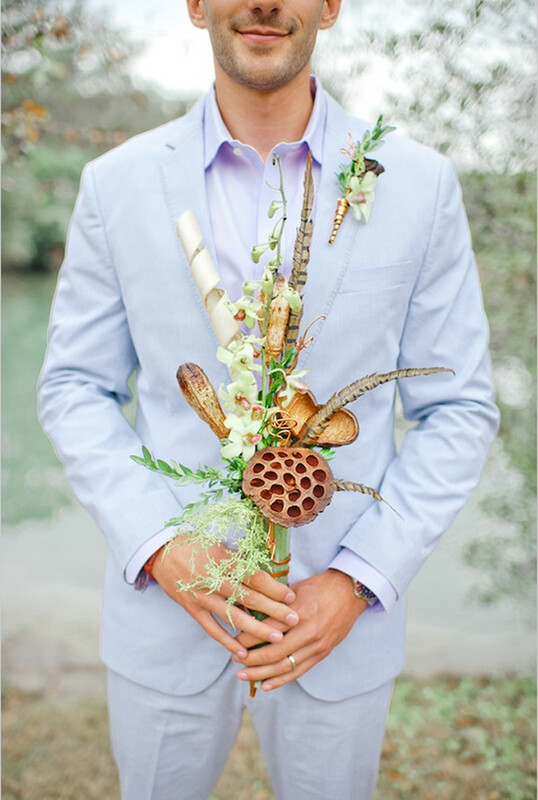 Opt for more fascinating and exotic flower arrangements; peculiar yes, but pretty too. Dress your ladies in these bronze colored dresses and add the chunky wooden jewelries. Paired with an up-do that has a bit of height, your bridesmaids are picture perfect. Nothing fancy, nothing too much. 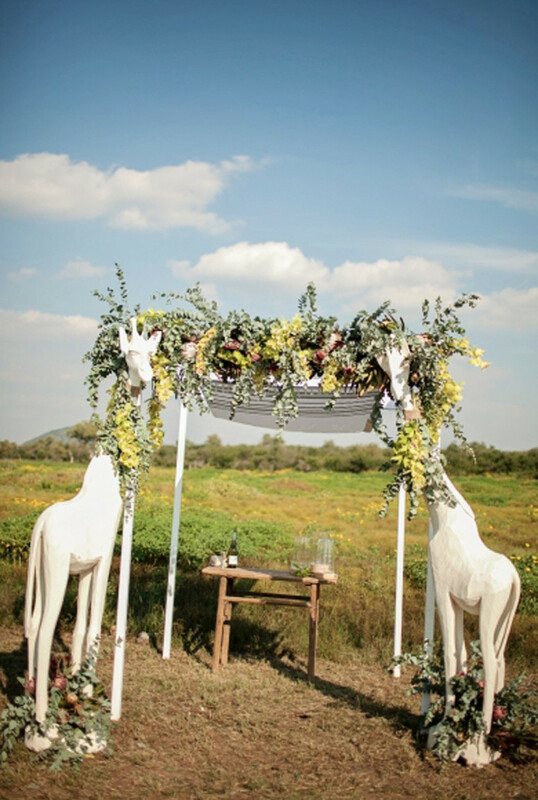 Just two white giraffe witnessing your vows. No big deal. 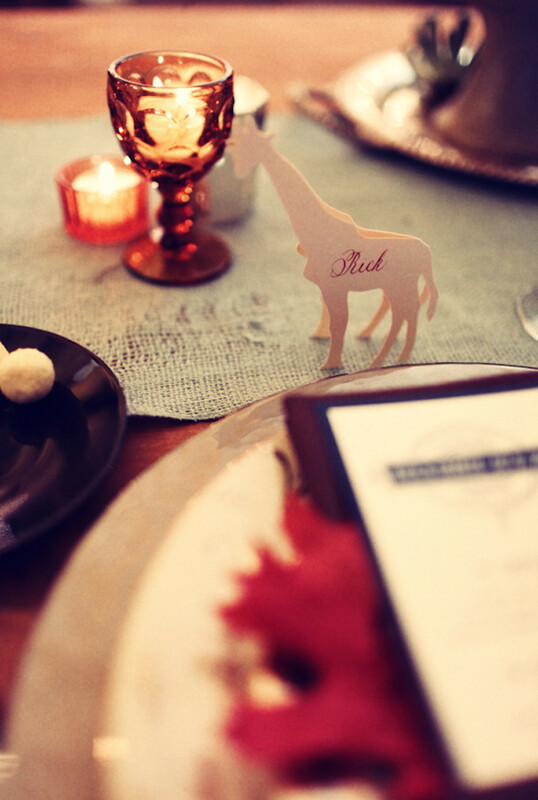 Have animal cutouts as your place cards, and let your guests had fun figuring out what theirs is and how many other animals there are. It will be a great way to get your guests mingling. 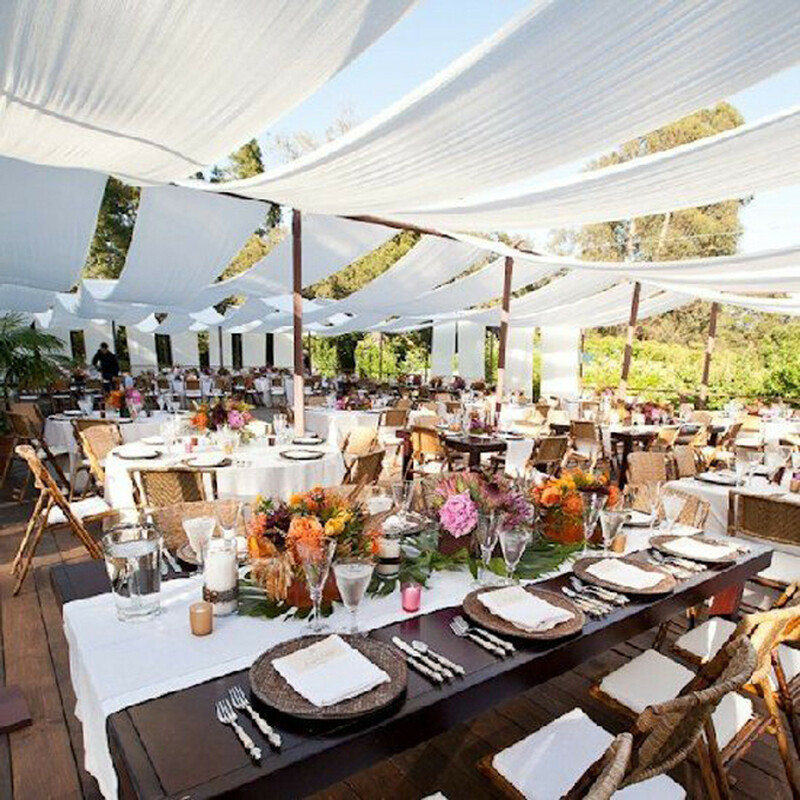 What could be more safari-looking than white tents above your head along with exotic flowers and rattan chairs on set up? Might not be the most elegant or luxurious, but it certainly is not less pretty. Still on decoration, have these two chairs for you and your spouse to sit on the bridal table. 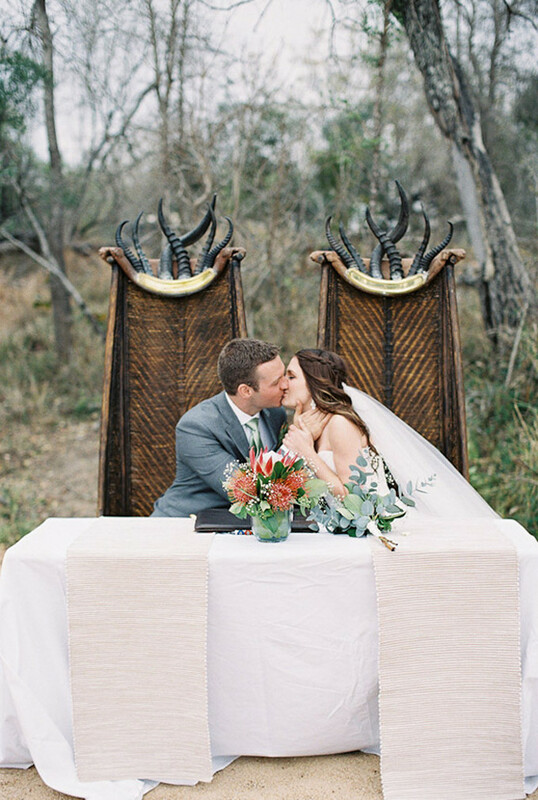 Those antlers on top of the chairs really exude the adventurous feel to the wedding and certainly a stunner they are. One thing, no matter how beautiful it might be please retain from using real ivory tusks, real antlers or real fur. Making use of faux ones will be a lot more economical and they won't look less pretty too. Instead of flowers, put greens on display on your dining tables. 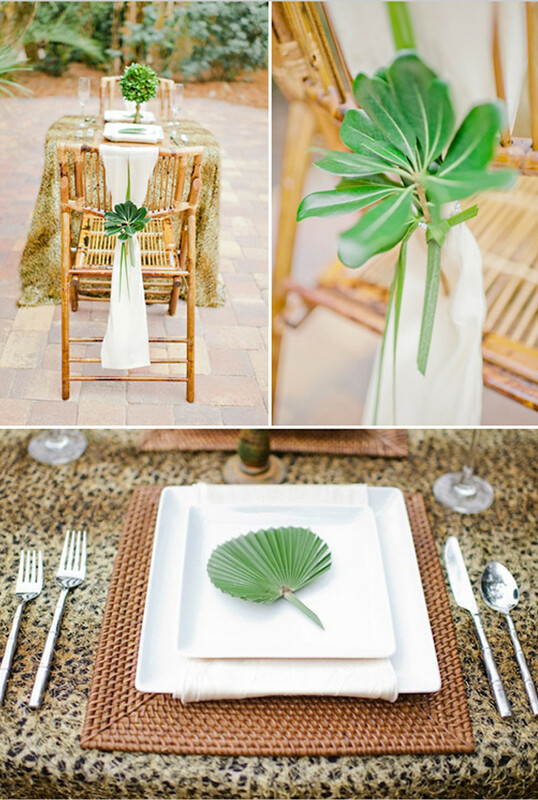 There is no rule to use flowers on every setting so don’t be afraid to switch it with these lovable greens. 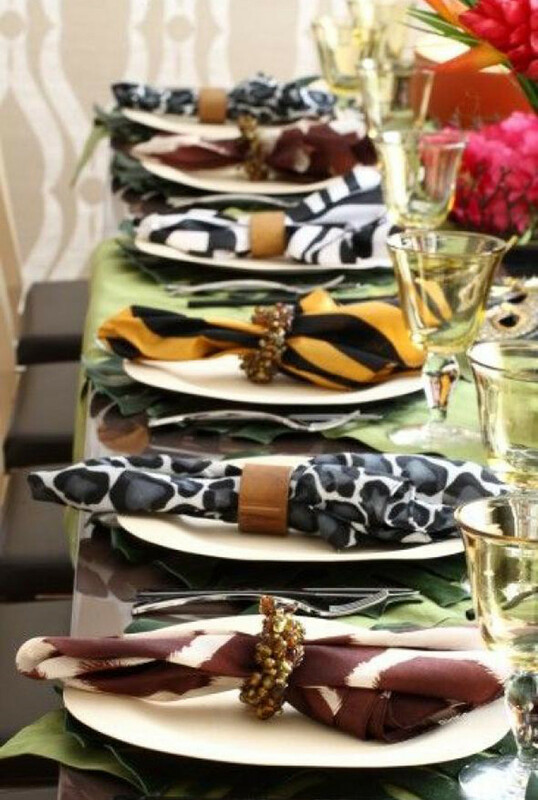 Another idea, present your guests with animal printed napkins each stationed on their seats. This could double as wedding favors; presentable and pretty. Those three heads are the cutest idea. Something you rarely see anywhere too. We suggest using different types of animals to really get the safari feel on this one. 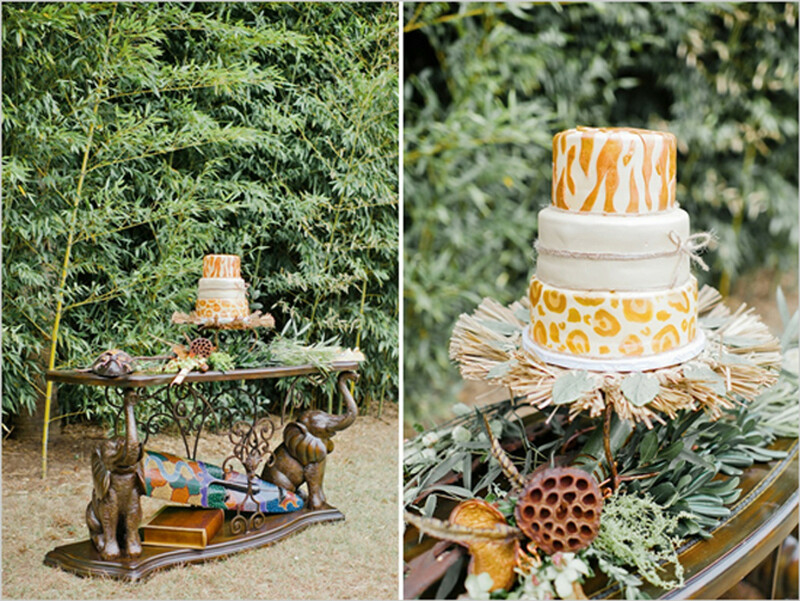 Have animal prints on your cake and set them up on a display that screams Safari. A little tricky on this one though, heavily splashing your cake with animal prints might seem a bit over the top and you don’t want that. Keep it simple, edgy, and classy. 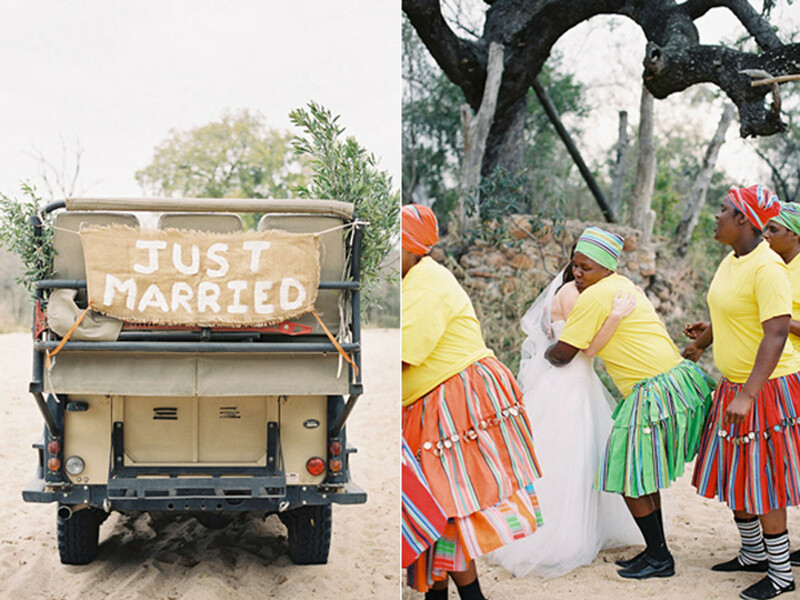 Nothing suits a safari wedding better than an off-road jeep. Put a “Just Married” banner at the back and the rugged beauty is at your service.